Present state: Largely demolished - all that remains is a section of wall at the rear of a car-hire firm forecourt that now occupies the site of the station building. At track level the supporting structure for the roadside building including two blocked doorways survives. The DLR's Bow Church station has been built on the south side of Bow Road. There is no trace of Bow Works, Devons Road shed or the Bromley - Bow curve. The north end of the westwards curve onto the L & B survives, partly incorporated into back gardens as does the blocked Campbell Road bridge. 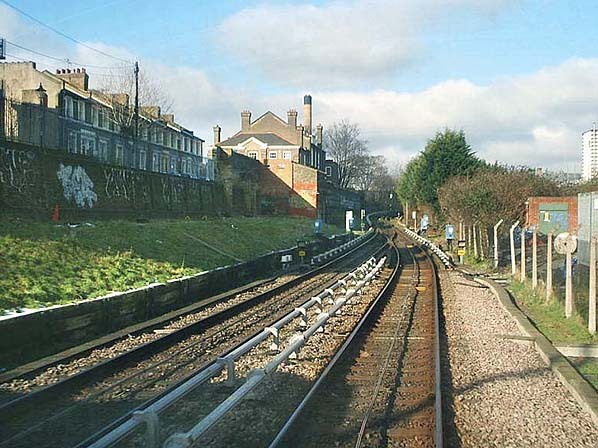 At track level, Bow Station had three platforms (two side platforms and a large island platform), south of the station there was a three way junction with the North London Line continuing to its terminus at Poplar. 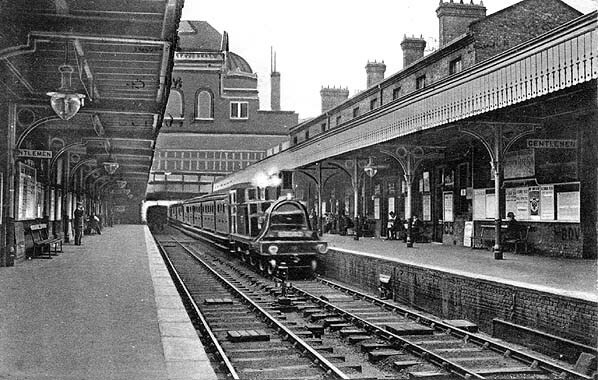 The west side of the station was shared with the Great Eastern service into Fenchurch Street with through trains to Southend and a shuttle service to Plaistow using the east platforms. 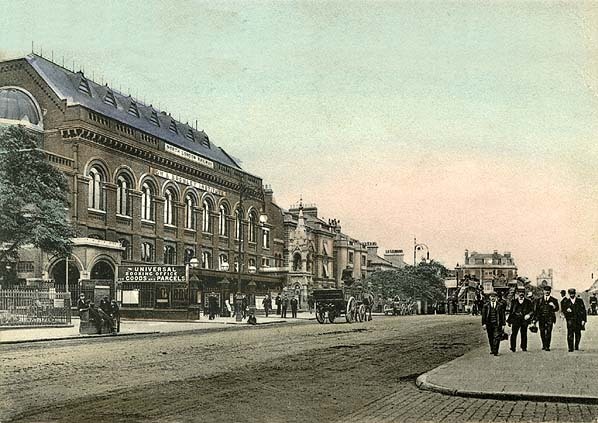 The large booking office (incorporating waiting and refreshment rooms) was at street level and above it a large concert hall 100' in length and 40' wide. The hall was first used by The Bow & Bromley Institute, a cultural and educational centre opened to the public, where lecturers and classical music were held. The hall later passed through a number of users. In 1887 it became part of the East London Technical College, then in 1911 it was used by The Salvation Army. In 1930, it became the Embassy Billiard Hall. The thirty feet high Bryant & May Testimonial Fountain was erected in front of the station in 1872. It was paid for by the employees of the firm and commemorated their success in defeating a proposed tax on matches. London Line service was suspended due to enemy action on 15th May 1944 the station remained open selling tickets for the emergency replacement bus service but one month later was damaged beyond repair when a V1 'flying bomb' landed to the west of the cutting. The bus service was withdrawn on 23rd April 1945. However, after the war, the hall continued to be used. It became the Bow Palais, a dance hall, famous for its Irish Bands, Irish Dancing and Irish Nurses from nearby St. Andrews Hospital. In the 1950s the dance hall changed its name to the 'Emerald Ballroom' and was badly damaged by fire in 1956. 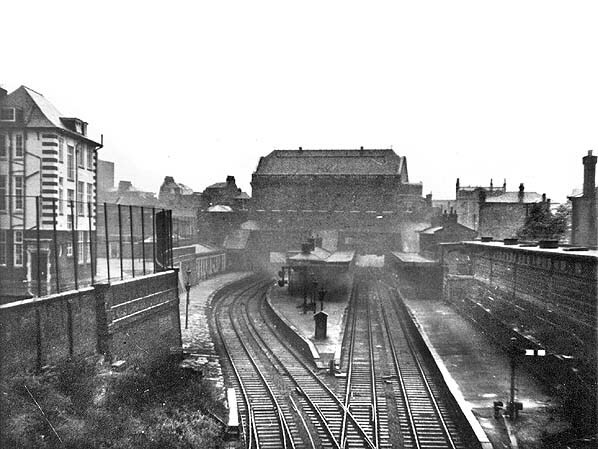 This led to the hall being demolished but the lower part of the station was retained and used as a parcel office until early 1965, when it closed. 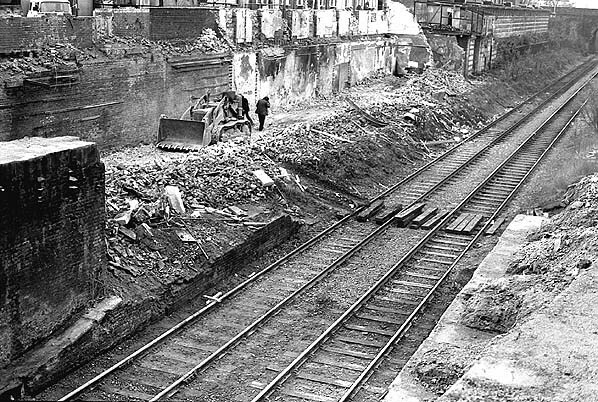 construction of the Docklands Light Railway which utilised part of the old line to Poplar. A new station, Bow Church was built on the south side of Bow Road and all that is left of the once impressive Bow Station is a small section of wall behind the forecourt of a car-hire firm now occupying the site of the roadside building. South of the station the eastward curve towards Bromley was lifted in 1959 and the westward curve towards Fenchurch Street had not seen passenger trains since 1892, was lifted in the late 1960's. 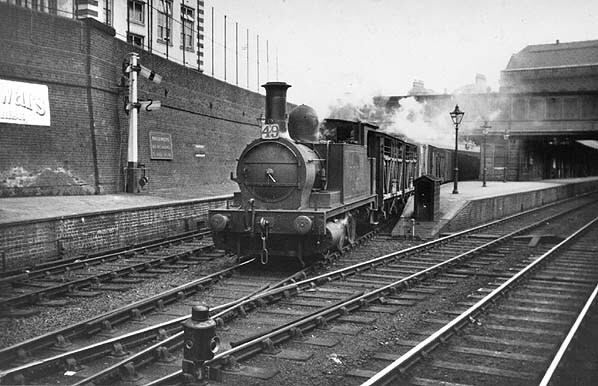 The Bow locomotive and carriage works and NLR company headquarters stood between the poplar line and the Bow - Bromley curve. The works opened in 1853 and closed in 1960, the buildings remained until about 1966. 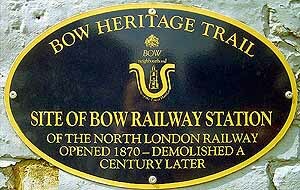 The Devons Road locomotive depot was sited south of the LTS main line just west of Bromley-by-Bow District Line station. end of the station. 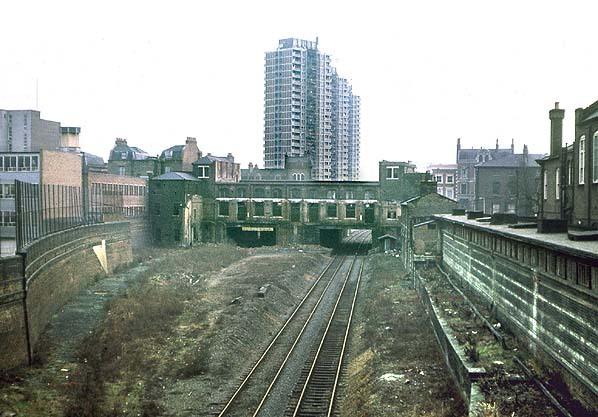 With the opening of a new connecting spur between the North London and the former Great Eastern line at Hackney the remaining Broad Street trains were diverted into Liverpool Street bringing final closure to Broad Street and Dalston Junction on 30th June 1986. By the early 1990's the Watford Junction to Liverpool Street was reduced to just four trains Monday - Friday. This service was withdrawn in September 1992 with the closure of Primrose Hill station. which was some distance north of the current Langdon Park station.